Responding to protests, Abdelaziz Bouteflika who ruled Algeria for two decades resigned on Tuesday. 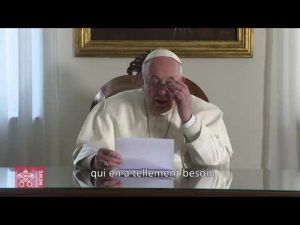 In a communiqué, relayed by the country’s official press agency, the Moroccan-born politician notified the head of Algeria's Constitutional Council of his decision to end his term as head of state. According to the Algerian Constitution, the current Speaker of the country’s Council of the Nation, the parliament’s upper chamber, Abdelkader Bensalah is expected to replace Bouteflika as an interim leader for a «maximum of 90 days». Bensalah, who is a member of the National Rally for Democracy, is seen as a «close ally of Bouteflika» and a «vocal supporter» of the former Algerian President’s plans and projects. However, having Bensalah as Algeria’s interim President would hardly appease the anger of protesters, who see the politician as another pillar of the former regime. Furthermore, this is not the only aspect that worries Algerians, who question since last week Bensalah’s «citizenship». In fact, the «nationality» of the Speaker of the Algerian Parliament’s upper house has been making headlines for weeks in the neighboring country. 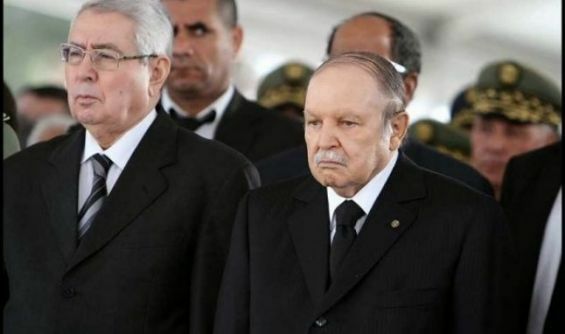 In an interview with Algeria’s Echorouk TV, Lakhdar Benkhellaf, a leader of the Justice and Development Front party, claimed that Bensalah, «cannot replace Bouteflika because of his Moroccan citizenship». The politician said that Bensalah was bearing Moroccan citizenship and wasn’t naturalized until 1964, concluding that he cannot «assure continuity in the running of institutions», citing the Constitution. Similar claims were shared on social media, where internet users addressed the «Moroccan origins» of their future interim President. A birth certificate has been shared on social media platforms, alleging that the politician had a «Moroccan citizenship». These allegations were refuted, last week, by Algerian newspaper TSA, which managed to take a look at the real birth certificate of Abdelkader Bensalah. In a story published, March the 28th, the news platform stressed that the upper house’s Speaker has never been granted the Moroccan nationality. Examining the birth certificate shared on social media, TSA revealed that the person in question «Abdelkader Ben Salah» does not bear the same last name as the politician and that «Ben Salah» stands for the first name of his father who was naturalized by Algeria in 1965. Moreover, the same source pointed out that Bensalah was born in 1941, as opposed to said citizen who was born in 1947. Taking a look at the Speaker’s birth certificate and biography, TSA concluded that Bensalah’s father and grandfather were both born in Algeria.